I have a fun little project to share with you today. This was a custom order for a soon-to-be grandmother anxiously awaiting the arrival of Baby Madison! She was looking for a chair and possibly a little table for Madison's nursery. And luckily I had just the perfect combination! This was the inspiration photo for Madison's nursery. We decided there was already enough purple in the room, so we pulled out the green and aqua shades. I mixed up some homemade chalk paint in Behr's Premium Plus Paint in Fresh Sprout and Lap Pool Blue. I did a light distressing and finished with three coats of Minwax Wipe-on Poly. Don't you just love the curves on this table! I love quick and easy projects, especially when they are for sweet little babies. Welcome to the world Madison! Absolutely adorable. 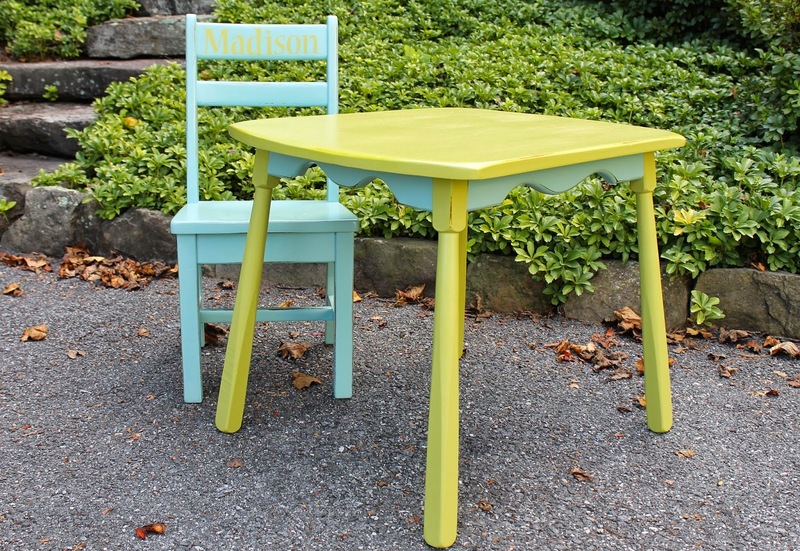 What a perfect little table and chair for a little girl. Very pretty! Love your choice of colors and not more purple. 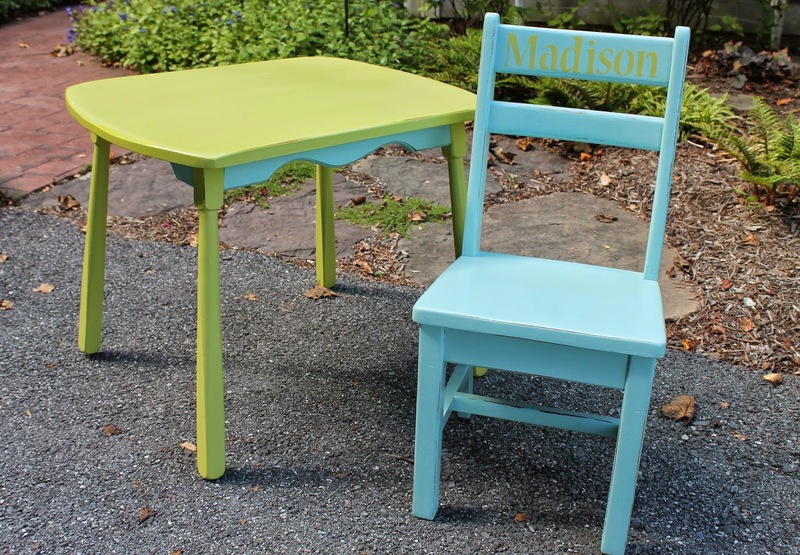 Madison will love her little table and chair for years to come. What a pretty combination of colors! so sweet! love the fun colors- esp that green! So pretty! Sure she will love it. Loving the curves on the table! So cute! This set is adorable Sharon! Love the color combination, must have been so fun to work on.